How did one of the great inventions of the 19th century― Thomas Edison's phonograph― eventually lead to one of the most culturally and economically significant technologies of the 20th and 21st centuries? Sound Recording tells that story, tracing the history of the business boom and the cultural revolution begun by Edison's invention. Ever since, recorded sound has been all around us―not just in reproducing and playing popular music, but also in more mundane areas, such as office dictation machines, radio and television programs, and even telephone answering machines. Just as the styles of music have evolved over the years, the formats on which this music was played have changed as well ―from 78s to LPs, from LPs to cassette tapes, from cassettes to CDs―not to mention lesser-known innovations in the motion picture and television industries. The quest for better sound was one of the drivers of technological change, but so too were business strategies, patent battles, and a host of other factors. 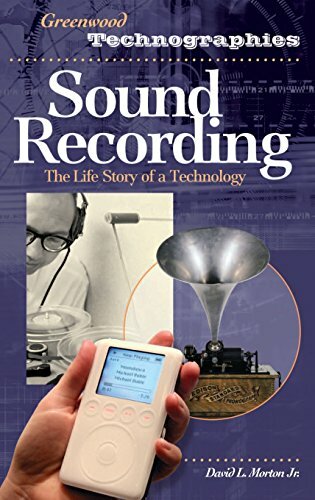 The volume includes a timeline and a bibliography for those interested in delving further into the history of recorded sound.